One of the first county-wide projects the Johnston County Sports Council tackled was developing new on-road routes for biking enthusiasts. Currently along the country roads of the Johnston, residents may spot individual riders and club rides biking almost every morning and especially on Saturdays. 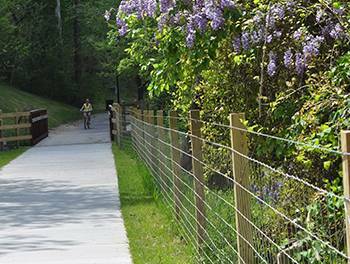 The Selma Cyclepaths have a loyal team of riders in the county, however, visitors and bikers from Wake County are now making trips over to enjoy our wide open spaces. 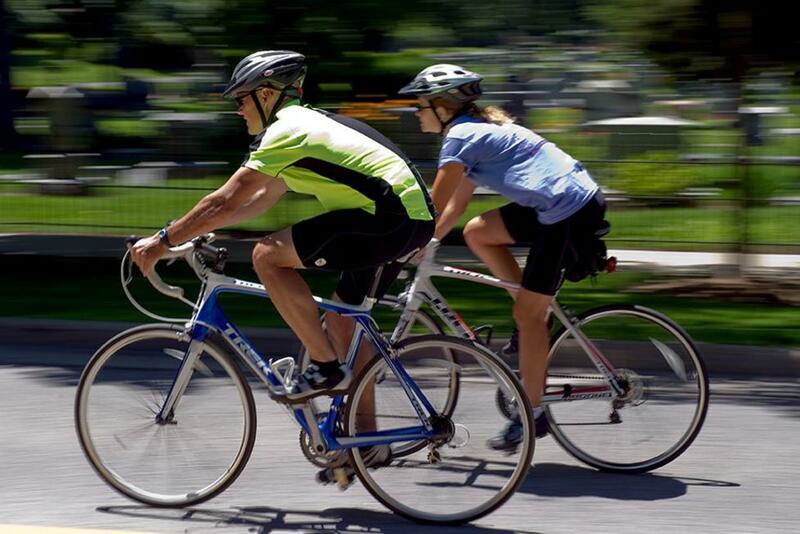 With these new approved bike routes, the Visitors Bureau will have established routes to market via brochures, online biking sites, hotel packages, and our county websites. There will be four NCDOT adopted bike routes which will cover most all areas east, west, north and south. The routes have been vetted by the NC Department of Transportation Bike and Ped Division and each local planning department has reviewed and provided a resolution of support for the routes. The Visitors Bureau is currently designing the new JoCo Bike Route Brochure to be printed in December...interested riders can call and we will mail out brochures or printer-friendly versions will be on our website. Through a series of BLOG posts we will take you through each new bike ride in the county. Start Here: Rider&apos;s begin their trek at the Smithfield Town Commons located in the heart of Downtown Smithfield along the Neuse River. Historic Downtown Smithfield is the site of the 3-mile Buffalo Creek Greenway and the Smithfield Town Commons park. There is street parking on Front St., a boat ramp for river access, and visitors are within walking distance to the Ava Gardner Museum, Neuse Little Theatre, Johnston County Heritage Center and several local restaurants for breakfast, lunch, or dinner. Smithfield is home to the Ham & Yam Festival the first weekend in May, where concerts are held at the Town Commons. Head out of town: Take the neighborhood ride out on Third Street to Brogden Road, the birthplace of Ava Gardner &apos;til you reach the Richardson Bridge Rd. Boat Ramp. Start your ride through the historic Brooklyn neighborhood to Brogden Road, and you will find yourself in the countryside in no time. Travel seven miles east to the crossroads community known as Grabtown or Brogden. Ava Gardner&apos;s childhood home, "The Teacherage" is located on the corner of Brogden and Grabtown Rd. Continue along Brogden Road until a right on Richardson Bridge will take you over the Neuse River. Richardson Bridge Rd. offers boating access to the Neuse River for fishing, canoeing and kayaking trips. It&apos;s a history lesson: Cross over the Neuse River into the Bentonville Community, site of the last major Confederate offensive of the Civil War. Bike along the Carolina&apos;s Campaign Civil War Driving Trail which takes you by the Bentonville Battlefield State Historic Site. The village of Bentonville was the site of the largest Civil War battle and last major Confederate offensive fought in North Carolina. There are more than six driving pull-offs for an interesting explanation of the battle throughout this 6,000 acre battlefield. If time permits, stop by the Bentonville Battlefield State Historic Site for a tour of the museum and Historic Harper House. Recreational trip for another visit: Leaving this area&apos;s rich history travel by Howell Woods, a recreation destination for another visit for hiking, biking, bird-watching and more. 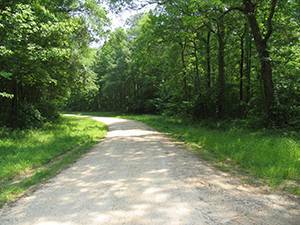 As the route makes a turn back, you will pass by the entrance to Howell Woods Environmental Learning Center, which has 25-miles of hiking and biking trails to explore. This recreational venue is known for exceptional trails, birding, hunting, canoeing, hiking and fishing. We hope you will visit us again for this and other hidden gems in the county for a day trip, or you can opt to stay on site at their eco-friendly cabins. Need a shopping basket: Travel on to the quaint community of Four Oaks then head back to Smithfield along US Highway 301. As you enter the community of Four Oaks, and you might want to take a break, the local honey produced here is a available for sale at the Shamrock Buzzy Bee in Downtown Four Oaks. They have honey, soaps, homemade breads, cookies, candles and more. Day trip bike ride or overnight visit? We hope you will enjoy exploring Smithfield&apos;s bike route, the countryside, the history, and the community of Four Oaks! Smithfield is home to Carolina Premium Outlet where you can do some serious shopping. Several hotels are located near the outlet center for your visit....we suggest you make it a weekend. We have much to offer those wishing to explore....add on a visit to one of our wineries or breweries too!